Are you ready to set sail on a pirate adventure? Not without your Pirate Velvet Hat! This easily recognizable hat is perfect to join your journey overseas (or just across the block trick or treating.) 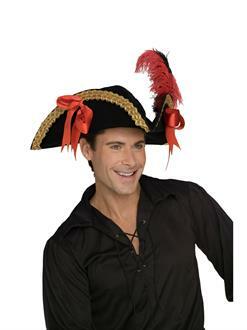 No matter the occasion, make sure you're the one who's telling enemies to walk the plank with the Pirate Velvet Hat.